Compression helps decrease muscle soreness and swelling. Anatomically designed for full range of motion, superior comfort and optimal fit. 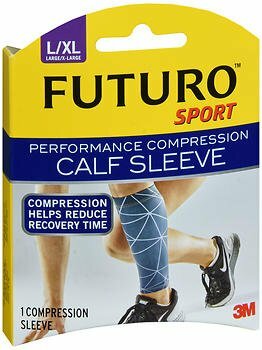 Great for everyday and sports/athletic activities when compression is needed. Breathable materials and fashion forward design. Compression helps reduce recovery time. If you have any questions about this product by Futuro, contact us by completing and submitting the form below. If you are looking for a specif part number, please include it with your message.